The main purpose of this scholarship is to provide an incentive for the students who have gone out of the way to learn new things by participating in international contests organized by KSF-Pakistan. 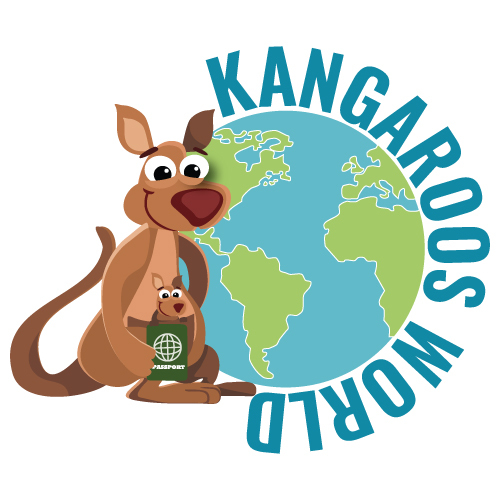 Kangaroos World is an innovative platform designed to support a number of students with cash awarding scholarships. Submission Deadline: March 8, 2017. Step 2: The application fee is Rs. 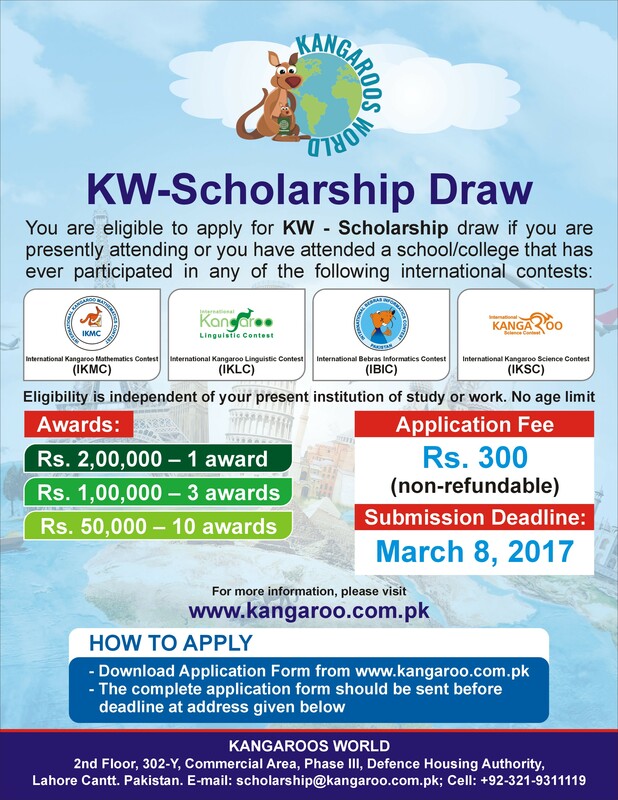 300 per participant, which can be paid through Bank Draft/Pay Order, drawn in favour of KANGAROOS WORLD. The fee can also be directly transferred to our A/C: KANGAROOS WORLD, A/C No: 23377000242952, Bank Name: HABIB BANK LIMITED, Branch: KHIABAN-I-IQBAL, DHA, LAHORE. Defence Housing Authority, Lahore Cantt. Pakistan. The result of the KW-Scholarship draw would be final and cannot be challenged in any court of law.